Cleaner Putney provides professional end of tenancy cleaning, carpet cleaning, house, domestic and deep cleaning services in Putney SW15. 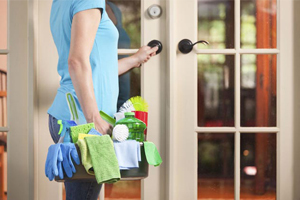 Our company is occupied with delivering cleaning services within Putney. We are open for our customers on a daily basis and the best part is we’re also available during weekends. We deal with a number of cleaning situations. Our technicians are experienced, capable and skilled. They have the proper cleaning knowledge. We take care of your home and office the way we take care of our own homes – with eagerness, devotion and a great deal of detail. We offer one off and deep cleaning, office cleaning, end of tenancy cleaning, upholstery cleaning, carpet cleaning. To learn more about our service, give us a call. Even though lots of people are used to housekeeping, there are some who prefer to use a professional house cleaning service. It’s because they are either too busy or too tired to deal with this themselves. And when you think about it, it’s better to use someone’s help than to spend your free day scrubbing the toilet or vacuuming the house. We can help you keep a tidy and dirt-free house. You can choose whether you want a daily service or a monthly one. Along with house cleaning we have end of tenancy cleaning. It’s purpose is to clean rented apartments. This is a one-time clean, which is provided before a tenant moves out. No matter if the person lived there just a couple of months or years, the place needs to be cleaned and sanitised for the new occupants. That’s why most landlords either book such a service themselves or require the renters to do it. Since we are professionals, we can assure you the property will be clean to perfection. You will get your deposit back and everything will be fine. When it comes to professional cleaning services for residential properties in Putney, we also have a few other options. Our carpet cleaning is a very effective service for maintaining carpets. It’s vital you clean your items to keep the colours true. But most importantly – to kill bacteria and allergens which are responsible for sneezes and wheezes, lung diseases, skin rashes and other allergic reactions. Not paying attention to this problem can be really bad for your health. This is valid for upholstery cleaning as well. See, allergens just love furniture and carpets where they can reside happily. If you need to get rid of them, you’ll need our professional service in Putney. Give us a try, you’ll be happy you did.